Growth is one thing, significantly changing your point-of-view is another. It would be irresponsible to suggest that one could craft a story without character development. Stories without this growth fail in the delivery of the Author’s intended message. What of stories that have at their core a character who does adopt a new way of seeing the world? When exposed to the polarizing concepts of the changing Hero and the steadfast Hero, many Authors make the mistaken assumption that the latter does not grow, that they don’t “learn” anything. It is clear the former fits into the accepted notions of character-arc, Protagonists and development, but the latter lends itself to confusion. After all, characters who view the world with consistency end up uninteresting and lifeless, right? Stories fall flat without character development. Having sat through screenings of [Iron Man 2] and [&The Informant], I can attest to the veracity of the rule. This failure does not come as a result of the Hero failing to learn something as much as it does from a lack of growth. Without proper growth, structural integrity collapses and the argument of the story breaks. The act-by-act transitions that are a natural occurrence within great stories exist because the efforts to solve the problems at hand must adapt to new and ever-changing contexts. This is The Reason for Acts. They signify the end of exploring problem-solving in one area; time to move on to a new one. If the Hero did not grow and adapt to these new circumstances the whole purpose of the story would come into question. Steadfast Heroes grow the same way. Contrary to its imposing title, a Steadfast Hero grows. With the passing of each Act, this kind of character digs their heels in deeper and deeper, bolstering their stance in response to the rising tension. The Steadfastness refers to their final Resolve in the moment of crisis: do they change the way the way they are doing things or do they maintain the course? In other words, it has more to do with the final result rather than the process that brought them there. Getting there means as much personal change and adaptation as witnessed in their Changed cousin. In How to Train Your Dragon where would Hiccup be if he continued to sit and stew about his unfair situation when all around him there were Vikings who were adapting to their new training and to the discovery of a big bad dragon? Beyond being a boring movie, there would be no point to the visceral three-dimensional action/adventure. But he did grow. He took a stance to protect these dragons and act-by-act he put more and more of his back into that controversial stance. He managed to find a way to overcome the bad reputation everyone had of him and managed to resolve his own personal problems. 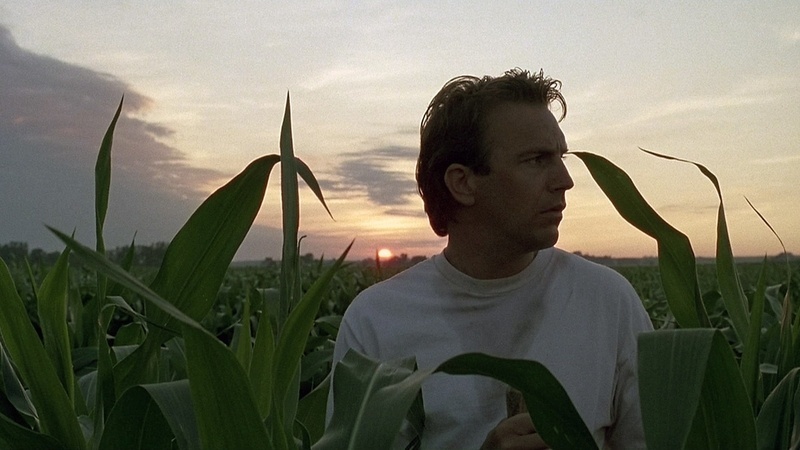 What about Ray Kinsella (Kevin Costner) in Field of Dreams? That baseball field in Iowa would still be a cornfield, Terrence Mann (James Earl Jones) would still be hiding out in his apartment, Archibal ‘Moonlight’ Graham (Burt Lancaster) would never have had the chance to hit one in the majors, and Ray himself would never have had a teary-eyed catch with his father (sorry for the spoiler) if he didn’t trust those voices he was hearing in his head. Act-by-act (four to be precise), Ray has his approach challenged. Act-by-act Ray rises to the challenge. Even at the end, faced with the dual fruits of his folly—foreclosure and bankruptcy—Ray refuses to sell his farm. And as a result he heals the real problem of the relationship with his long since past father. In both films, the Authors told us the right way to solve a problem. Hiccup promised to protect, Ray refused to question voices from beyond. While both were on the right track, not every Steadfast Hero is. Ask Randy the Ram in The Wrestler, Jake Gittes in Chinatown or Romeo in Romeo and Juliet. While each of these found a way to solve the problems at hand in their individual stories, personally they were taking the wrong approach. There is no way around it: Audiences will draw meaning from the story presented and there is nothing anyone can do to change that. While Authors have something to say, it is the Audience who must finish the transmission by interpreting the story’s events. This is where the problem comes for those who fear Heroes who don’t “learn” something. What a Hero “learns” is something an audience creates themselves upon finishing a story. Assuming the story is whole and the Hero has grown (a big assumption in an era when all Hollywood asks of its heroes is that they have a built-in audience, preferably the type that nurtures a fetish for spandex), the audience will interpret the difference between where the Hero ends and where they began as the adoption of some sort of knowledge. When Authors create a story they need not concentrate on developing something that is beyond their reign. Last week’s article made the distinction between Heroes who grow by learning and Heroes who grow by teaching. That article proved the purpose of story not to be to teach the central character something revelatory, but rather to argue that a particular way of solving a problem is either right or wrong. Offering an audience the chance to experience problem-solving and its results from within the eyes of this character and from without is the power of complete stories. It gives an Author the opportunity to argue their unique perspective in a way that can’t exist in real life. This is the power of great stories. Authors should worry less about what the audience interprets from their story and more about making sure their message is as succinct and as clear as possible. Make sure that the character’s growth in approach moves with each act. Leave the interpretation—and notions of learning and teaching—to the Audience. In Dramatica, this growth that a Main Character undergoes, whether they are Change or Steadfast, appears as the Main Character Growth. Once the Main Character’s Direction, this appreciation describes the course a Main Character will take on their way to their final Resolve. Whether Stop or Start, more detail on this story point lives within the article Applying Pressure to the Main Character. Solving the problems within the big picture story while failing personally (as in the examples of The Wrestler, Chinatown, and Romeo and Juliet) exemplify the need to differentiate between the Overall Story Throughline (the big picture part) and the Main Character Throughline (the personal part). Success in one end doesn’t necessarily mean a resolution in the other, and vice versa. The combination between the two offers a story’s Meaningful Ending.